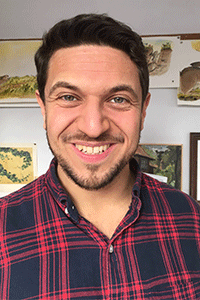 David Ezra Stein is the Caldecott-Honor illustrator and author of Interrupting Chicken, Dinosaur Kisses, I’m My Own Dog, and many other award-winning picture books, including Leaves, the winner of an Ezra Jack Keats New Writer Award. He lives in Kew Gardens, New York. It’s homework time for the little red chicken, who has just learned about something every good story should have: an elephant of surprise. Or could it be an element of surprise (as her amused papa explains)? As they dive into story after story, looking for the part that makes a reader say “Whoa! I didn’t know that was going to happen,” Papa is sure he can convince Chicken he’s right. After all, there are definitely no elephants in “The Ugly Duckling,” “Rapunzel,” or “The Little Mermaid”—or are there? 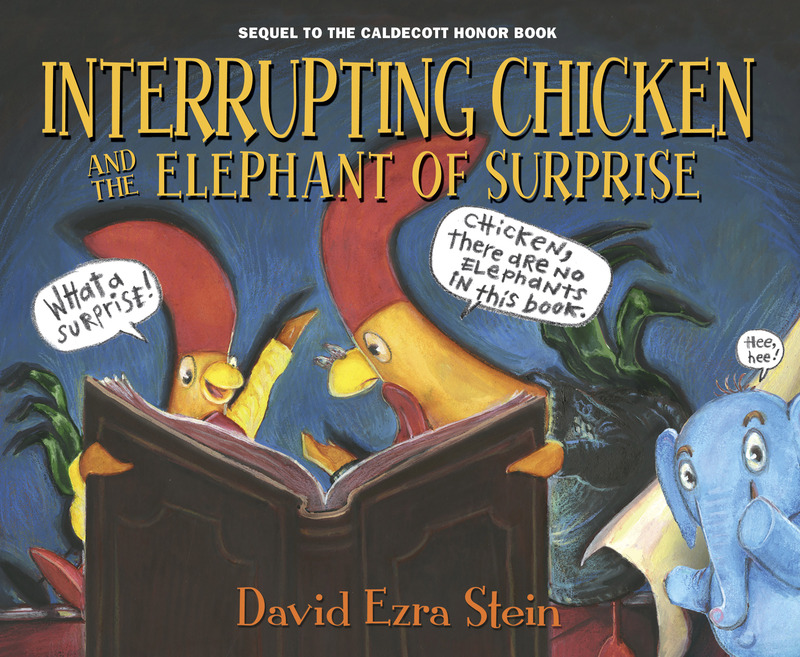 Full of the same boisterous charm that made Interrupting Chicken so beloved by readers, this gleeful follow-up is sure to delight fans of stories, surprises, and elephants alike.